Who doesn’t want to look younger, whether it’s a woman or man everyone fears the day when they glimpse the first sign of aging like fine lines, dark spots, and wrinkles. It’s very important to take care of your skin especially after the age of 25 when the skin starts losing collagen at the rate of about one percent per year. In today’s modern lifestyle, where pollution and stress are a major concern, the signs of aging show up much earlier. 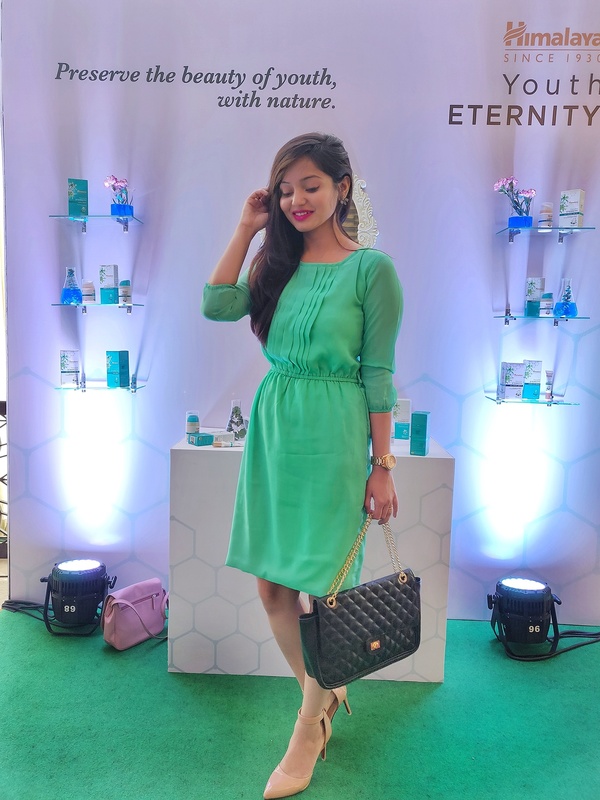 Recently I was invited to the Himalaya Youth Eternity Range launch, where I realized how we damage the health of our skin without even realizing it, by using inappropriate products. There are numbers of internal and external causes aging of your skin. Whether we like it or not natural aging is something that cannot be undone. There is nothing much we can do much about internal causes of aging but we can definitely control the effect of external factors like stress, exposure to UV rays and poor lifestyle which fastens the skin aging process. 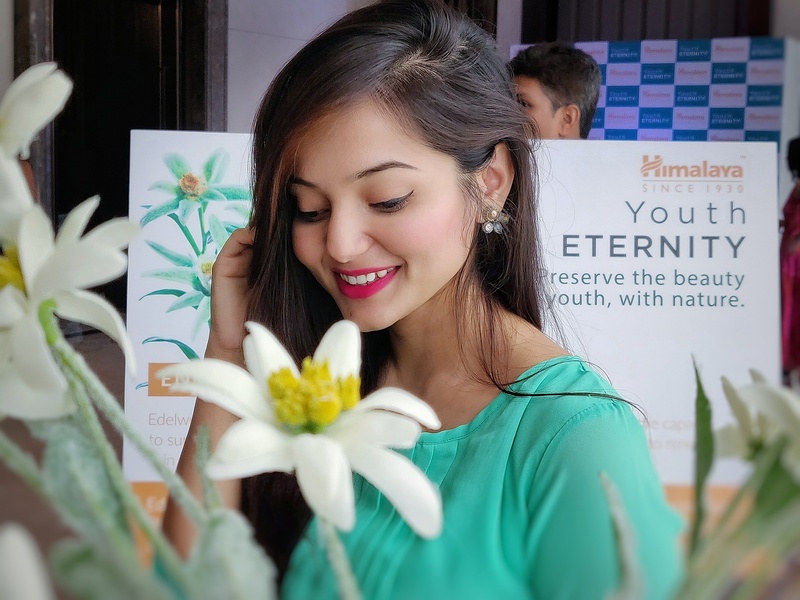 To resolve this problem Himalaya Herbals after many years of extensive research has found out unique restorative and rejuvenating properties of Edelweiss plant that retain the youthfulness of the skin. The plant is found in the Swiss Alps because of extreme and harsh weather conditions it produces active substances to sustain itself. The same substance is extracted using Plant Stem Cell Technology and incorporated in the Youth ETERNITY range. It’s been a few weeks now I am using this product so I am up with my reviews. 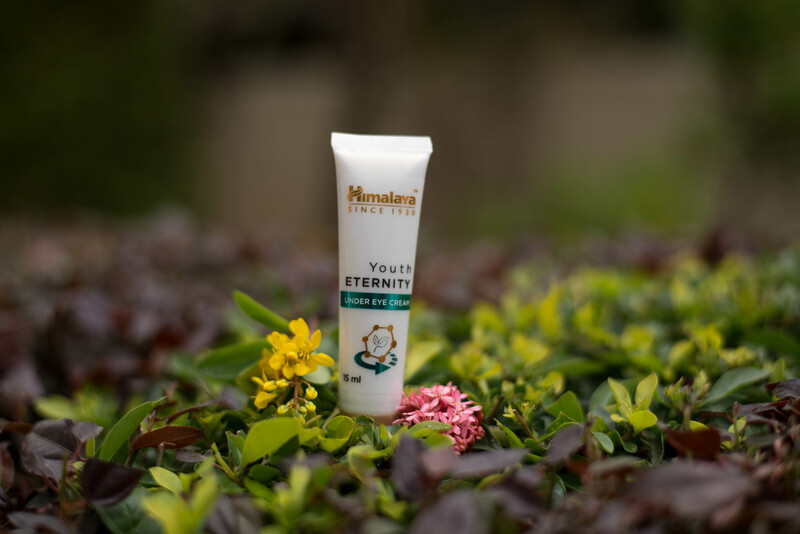 Himalaya Youth Eternity Day Cream is a breakthrough anti-aging formulation based on Plant Stem Cell Research and exotic Herbal Actives. Edelweiss Plant Stem Cells are power packed with antioxidants, while Woodfordia, Rose Myrtle, and Cipadessa regulate youth genes and work with your innate Skin Cell Matrix, responsible for the anti-aging mechanism of your skin. This light, non-greasy, fast-absorbing day cream is a powerful blend of botanical extracts that reduce fine lines and wrinkles, and re-plump your skin, leaving it looking healthier and younger. Price: 99 INR for 10ml, 249 INR for 20 ml, 499 INR for 50 ml. I am really impressed with the packaging. 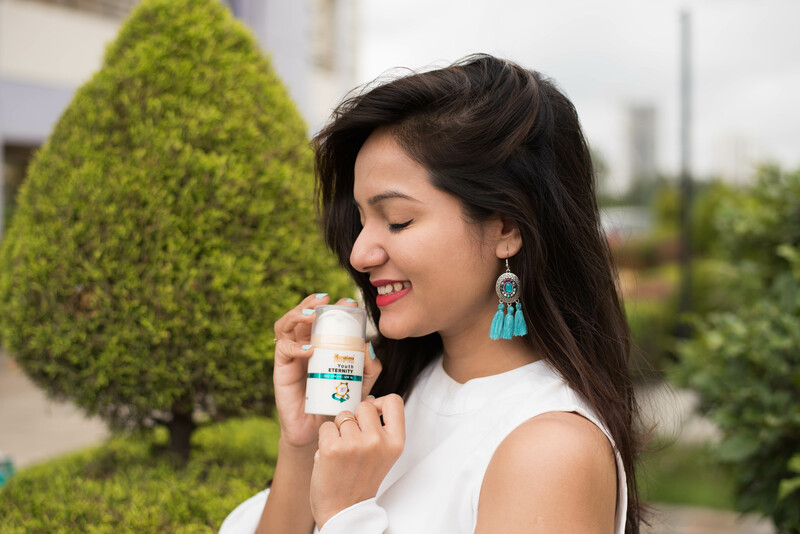 The product comes in a tube pump dispenser, which makes it really convenient to carry & are also user-friendly. The colors of the pump dispenser bottle are in their patent white & green like all Himalaya Products. The product has a very creamy texture, non-sticky and doesn’t feel heavy or sticky which is great especially for oily skin type. It has SPF 15 which adds to the Sun protection which makes it a perfect day cream. It feels very rich but gets absorbed instantly leaving your skin with a soft satin finish. The cream does have a mild fragrance. 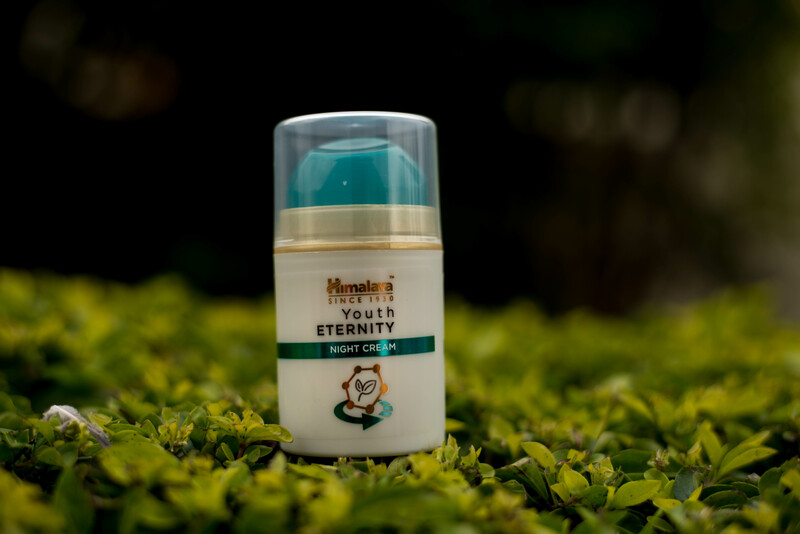 Himalaya Youth Eternity Night Cream is a breakthrough anti-aging formulation based on Plant Stem Cell Research and Exotic Herbal Actives. A special blend of Edelweiss Plant Stem Cells, Woodfordia, Rose Myrtle, Cipadessa, and Apple, rich in powerful antioxidants, polyphenols, and anti-aging properties, works overnight to provide intense hydration, reduce fine lines and wrinkles, leaving skin even-toned, healthy, and visibly youthful. Massage Himalaya Youth Eternity Night Cream gently over cleansed face and neck at night before retiring. For best results, use regularly with Himalaya Youth Eternity Day Cream and Himalaya Youth Eternity Under Eye Cream. It is the same as the day cream. This night cream is very lightweight, and has a soft creamy texture and gets absorbed quickly, does not feel heavy on the skin. The texture is slightly richer when compared to the day cream. The color is off-white in with pale baby pink tint and has a mild, pleasant fragrance. 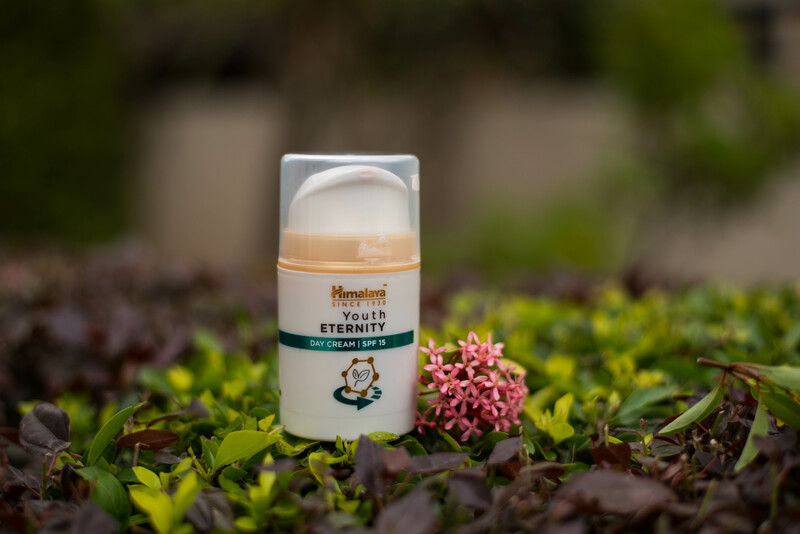 Himalaya Youth Eternity Under Eye Cream is a breakthrough anti-aging formulation derived from Plant Stem Cell Research and Exotic Herbal Actives. Rich in anti-aging and anti-inflammatory properties, this is a superior blend of ingredients like Edelweiss Plant Stem Cells, Woodfordia, Rose Myrtle, Cipadessa, and Amla. The under eye cream gently nourishes and hydrates the tender skin around your eyes, leaving it remarkably bright, healthy, and youthful. 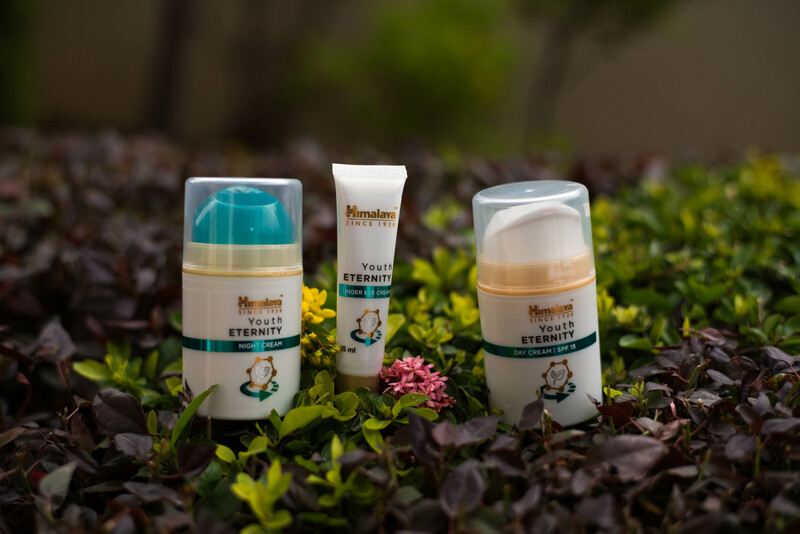 Gently dab a dot of Himalaya Youth Eternity Under Eye Cream around the eye area until the product is absorbed. Apply once or twice a day. Works well with make-up. For best results, use daily along with Himalaya Youth Eternity Day Cream and Himalaya Youth Eternity Night Cream. The product comes in a lean squeeze tube packaging with a tinny nozzle making it super expedient to use. Very handy and travel-friendly. I absolutely love the texture of this under eye cream. 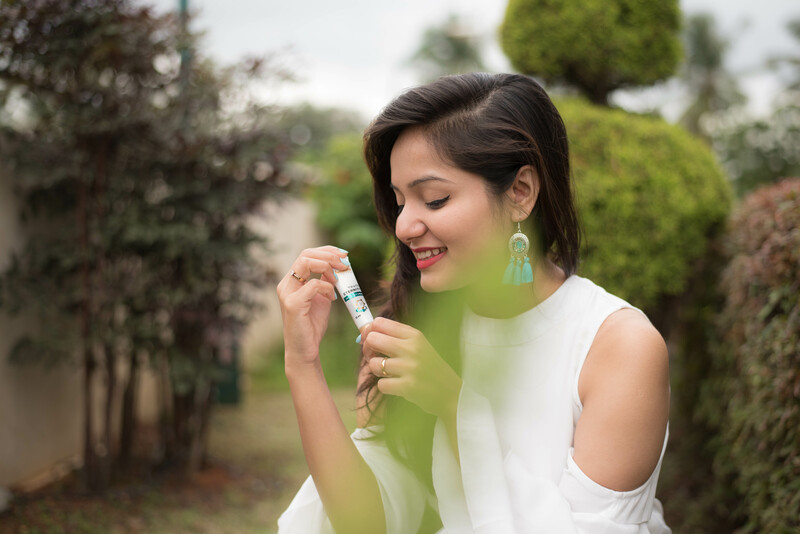 It has a very light creamy texture which makes it very light beneath the delicate under eye part of your skin, which is the most important factor for me in any under eye cream. With a little massage, it gets absorbed quickly and you will not even feel like you have applied any cream. Needless to say, this is definitely my favorite from their youth eternity range. 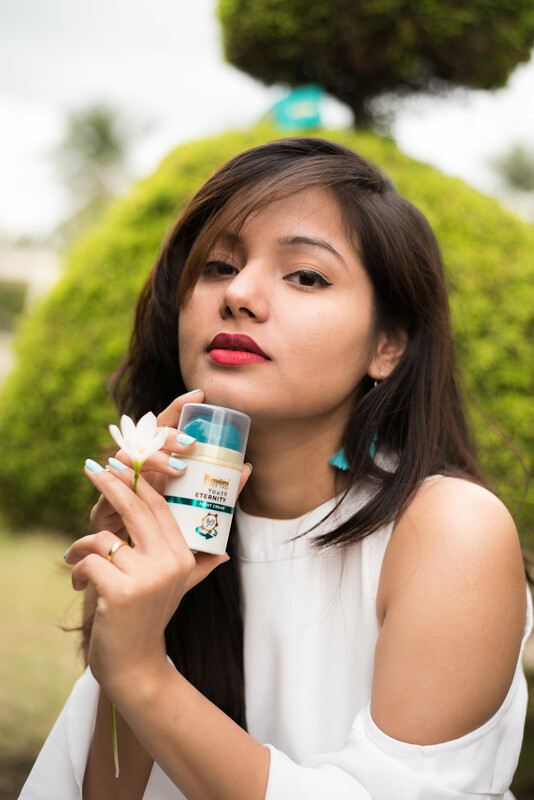 I would highly recommend this product as its one of the most effective and affordable under eye cream in India. 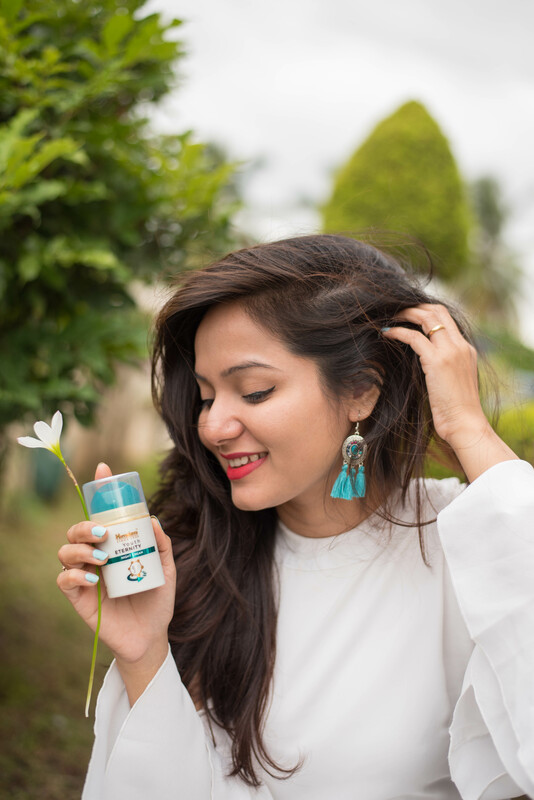 Day cream has SPF 15 which is quite good for daily use, on the other hand, night cream Rejuvenate your skin and makes it radiant and glowing, My skin looks flawless after using this night cream. The whole range is perfect for anyone with Oily/Combination/normal skin that too in the most affordable anti-aging skin care range. 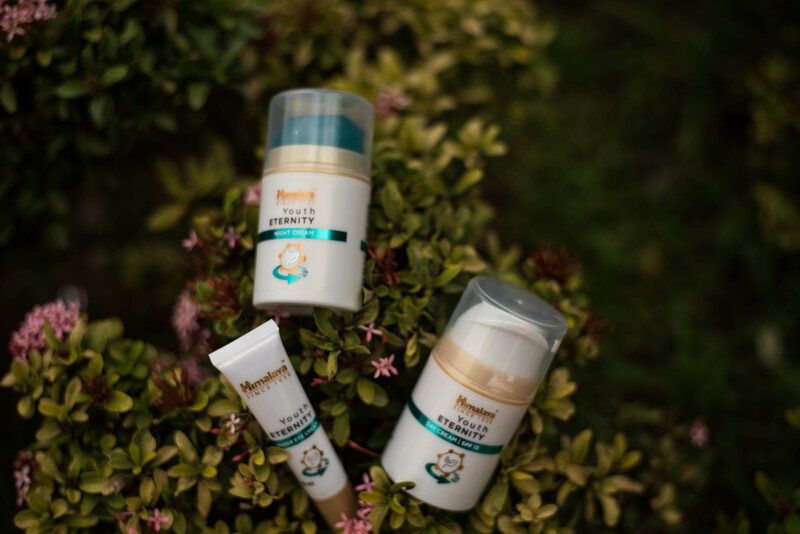 If you are looking for a good skincare regime then Himalaya Herbals Youth Eternity Range is something that you should try. I also would like to mention here that it’s not only for people above age 25 because it is always better to start early with skin care before any visible signs of aging start seeming. I would heartily suggest you try out these products and see for yourself. It is definitely worth trying! No regret surely. *** Few pictures from the event.